If you’re planning on picking up some budget-priced electrical goodies this holiday season, our expert reviews can help you dodge the duds. There’s no shortage of deals on electronics leading up to Christmas day, and our expert reviews are on-hand to make sure you don’t pick a dud. We’ve tested the latest products from big-name brands including Google, Amazon, Sony, Garmin and Morphy Richards. Keep scrolling to see which products under £50 could be the star atop your Christmas tree, and which ones are up to snow good. Stay warm this winter with the help of a budget-priced coffee machine. We’ve tested Bosch, Lavazza and DeLonghi models to see which ones make the tastiest drinks. The DeLonghi Infinissima (£50) has an attention-grabbing design that means it stands out in any modern kitchen. This coffee machine uses Nescafée Dolce Gusto capsules, which come in tea, chocolate and coffee-based flavours. Opt for the Lavazza Tiny (£39) and you’ll save some money. This compact capsule coffee machine weighs in at just 2.7kg and makes two sizes of drink – espresso and lungo – using Lavazza’s branded capsules. Last up is the Bosch Tassimo Happy (£29). 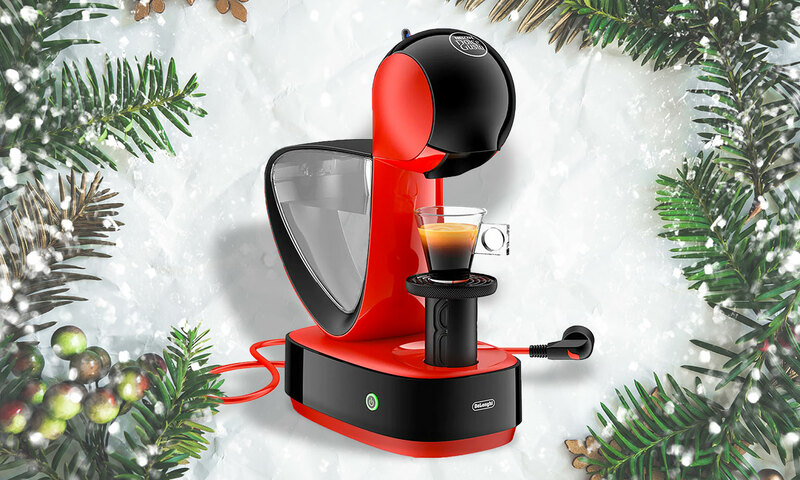 This coffee machine uses Tassimo capsules and has a one-touch system for making drinks, so you don’t need to get your head around lots of buttons and switches. Capsule models are generally the cheapest to buy, although you might notice higher running costs in the long term as you have to pay around 30p per drink. See our coffee machine buying guide for more on running costs. Want to learn more about the biggest capsule brands around? Head over to our Nespresso, Tassimo or Dolce Gusto? guide. Using a slow cooker this Christmas could help you rustle up a delicious bubbling stew. The Morphy Richards Sear and Stew Rose Gold 461016 (£40) is a breeze to use, with one solitary dial letting you choose between a low, medium or high cooking temperature. At the time of writing, it’s on offer for the same price as the 3.5L alternative. If you’re on a tighter budget, there’s the Russell Hobbs Chalk Board 24180 Slow Cooker (£25). This round slow cooker has a stated capacity of 3.5 litres. While the bowl isn’t quite big enough for a whole chicken, you’ll still be able to fit enough casserole in there to feed a family of four. Some cheap slow cookers have outshone pricier models in our testing. To uncover our Best Buys, see our slow cooker reviews page. The best food processors to pass through our test lab can chop, slice and blend with ease. 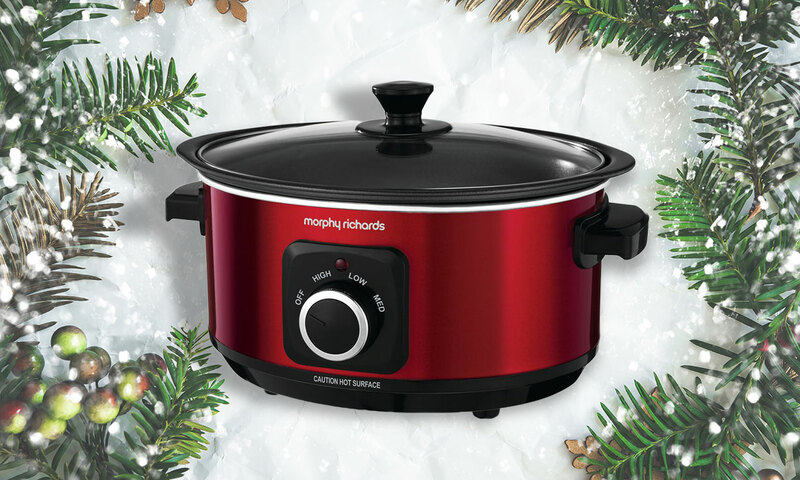 But if you’re looking for a culinary gift that won’t break the bank, we’ve rounded up some affordable models for the holiday season. Shopping for a compact food processor? If so, you might have your eyes set on the Cuisinart Mini Prep Pro Food Processor ECH4U (£45). This space-saving kitchen gadget has a single dual-blade attachment, meaning it can chop, mix, whip and puree. There are two speed settings to choose from, and a small design means it’s ideal for a cramped kitchen. The Braun MultiQuick 3 MQ3025 hand blender (£38) serves as an alternative – you can use it to chop up nuts, herbs and onions at speed. Tesco sells its own full-sized food processor – the Tesco FP15 (£29). This entry-level option doesn’t come with a whisk, but it’s well-suited if you don’t want to spend big. 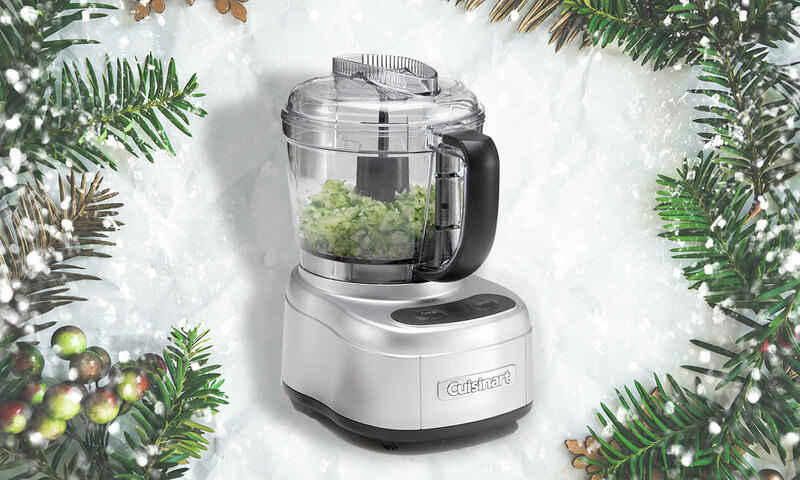 If you’re still debating which kitchen accessory to grab this Christmas, take a trip to our food processor, mixer or blender? guide. An internet TV box adds streaming apps such as Netflix and BBC iPlayer to your TV – that means you can watch some festive film favourites without rooting through the DVD cabinet. With the Google Chromecast (£30), you can use your smartphone or voice commands to control your TV. There’s no support for Amazon Video, however, so if you’re a fan of Amazon’s original TV shows you’ll want to consider the Amazon Fire TV Stick with Alexa Voice Remote (£40). The Sky Now TV Smart Stick (£25) is another option – you can buy it bundled with various Sky TV passes depending on what you (or the person you’re buying for) like to watch. 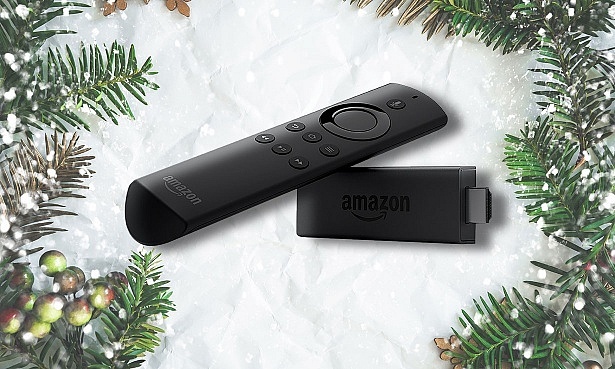 Amazon is selling the Now TV stick with a two-month Entertainment Pass for a stocking-filler-friendly £25. To help you pick the perfect model, we’ve put together a handy guide on how to buy the best Internet TV box. We’ve tested a huge selection of budget-priced radios that sit neatly in the kitchen or the bedroom. Our top picks sound fantastic, but yule be sorry if you end up grabbing a Don’t Buy. 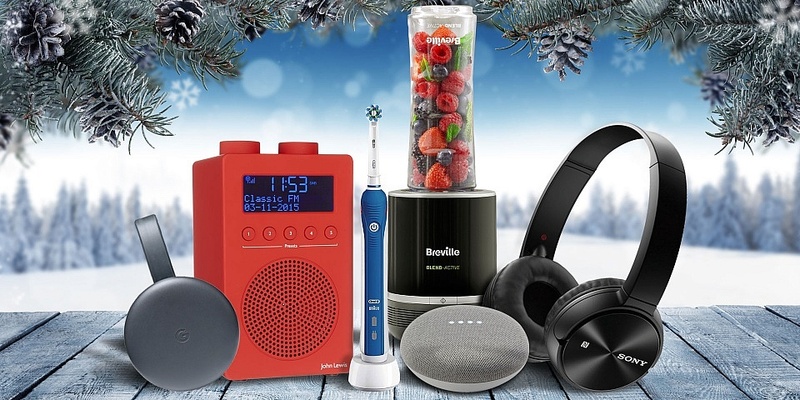 John Lewis’s Spectrum Solo radio (£40) is a popular pick. The Lego-esque radio is available in six different colours, but note that unlike other radios it doesn’t work as a bedside alarm. The Roberts Play 10 (£38) is a touch cheaper but good for taking out and about, featuring a durable plastic body and a rubber carry strap. Last up is the Logik LHDR15 (£30), which allows you to instantly store up to 20 stations using the preset button. It has a dual alarm system which means it can function as a bedside clock. Uncover the best radios around with our expert guide on the top five radios for 2018. 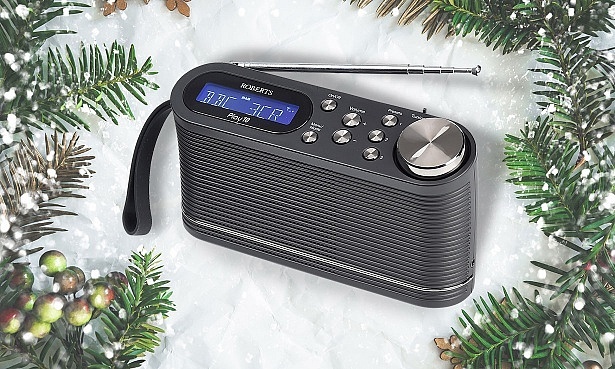 If you want to keep costs low this Christmas, head over to our guide on the top five best cheap radios for 2018. A new pair of headphones can make for a welcome stocking filler, and our expert tests prove you don’t always need to spend big to treat your ears. The Bose SoundSport In-Ear headphones (£45) are aimed at fitness fanatics that enjoy running to a beat. Designed for an active lifestyle, they have an in-line microphone and controls for your smartphone. Better-suited for travelling, the wireless, on-ear Sony MDR-ZX330BT headphones (£50) impressed in our battery life tests. But if you’re on a tighter budget, take a look at our review of the Sennheiser CX 2.00i headphones (£35). 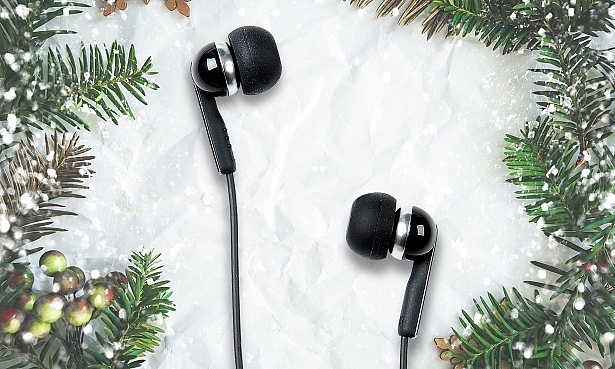 Make Christmas shopping easier this year with our advice on the top five best cheap headphones for 2018. Whether you’re shopping for a speaker to act as a DJ at a Christmas party, or a smaller alternative that can fit inside a backpack, our expert reviews can help you choose wisely. 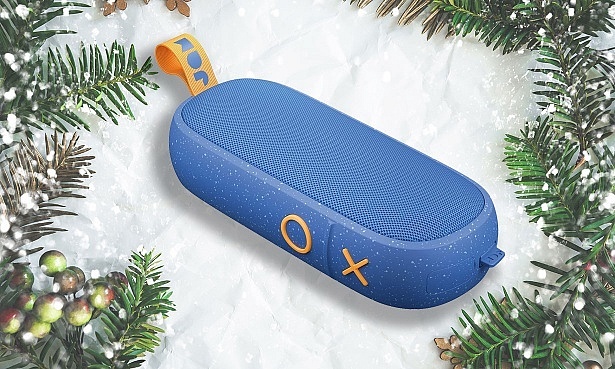 The Sony SRS-XB01 (£35) recently returned from our test lab. This speaker is small, simple, lightweight, and available in a range of vibrant colours. Like Sony’s speaker, the Philips BT110 (£30) has a compact design. With only two buttons, it’s also one of the most straightforward speakers you’ll find. The Jam Hang Around (£40) is great for travelling, and a waterproof shell means it’s submersible in one metre of water for up to 30 minutes. Top-of-the-range speakers can cost hundreds of pounds, but we’ve seen Best Buys available for a fraction of the cost. Our guide on the top six best cheap speakers for 2018 reveals all. 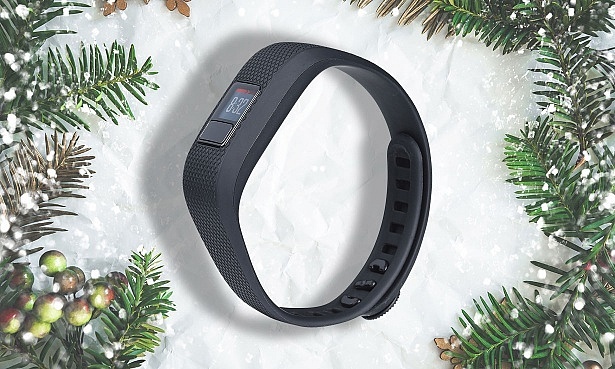 Christmas is a time for feasting, but a reliable fitness tracker can help work off that delicious grub at the start of the New Year. The Garmin Vivofit 3 (£45) has a small LED screen and can track steps, distance travelled, calories burnt and monitor sleep. It works with both Apple and Android smartphones. The Xiaomi Mi Band 3 (£27) is one of the cheapest trackers we’ve tested. It looks pretty nice too, and could be an ideal first-time-tracker to help burn off those Christmas calories. The discount of the year so far though has to be the Huawei Band 2 Pro (£40) – currently widely available for half the original price. But be quick, this price may not last long. Want to know which wearables are proven Which? Best Buys? See our full range of fitness watch and activity tracker reviews. Look after those pearly whites with a Which? Best Buy electric toothbrush. The Oral B Pro 2 2000N CrossAction (£30) uses criss-crossed bristles for a ‘clean deep between teeth’. You’ll have to see if it’s up to the task by checking our full review. Although it retailed at around £90, you can pick up the Philips Sonicare EasyClean HX6511/50 for £40 from Amazon. This electric toothbrush beeps every 30 seconds to tell you to brush different teeth. 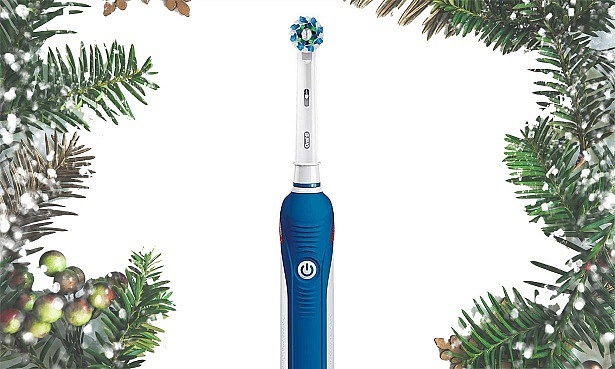 The Oral B Vitality Dual Clean (£22) is even cheaper – the circular head rotates one way and then the other around each tooth. A Best Buy blender could help to get your New Year’s health kick off to a flying start. 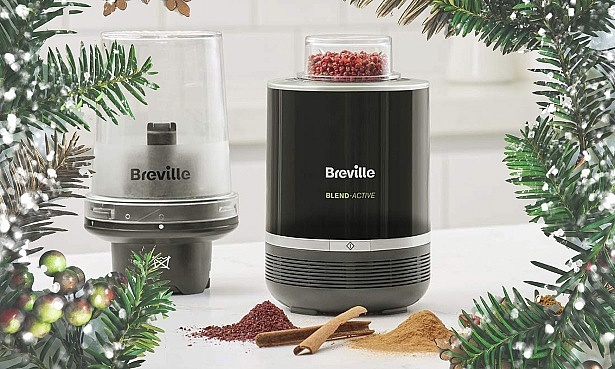 The Breville Blend Active Pro Food Prep Blender VBL212 (£50) makes up part of Breville’s extremely popular range of Blend Active mini blenders. This 300W machine comes with three different cups, with the 600ml blending cup being ideal for smoothies and other drinks. The 300W Morphy Richards Blend Express 403035 (£24) is a cheaper alternative, featuring two blend speeds and a detachable blade for blending smoothies, making milkshakes and crushing ice. Want to see which budget-priced blenders have aced our smoothie tests? Head over to our blender reviews page.